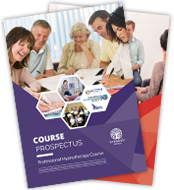 The Professional Hypnotherapy Course consists of 8 home-study modules and optional practical tuition. Your tuition can be arranged at any point during your studies, and is usually provided at our office in Doncaster, South Yorkshire. Distance learning students can also arrange practical tuition from one of our approved hypnotherapist trainers, listed below. Peter has over 22 years experience in the field of Hypnotherapy and has been presenting his own course for over 16 years, training students in the UK and Europe to match his own high standards. 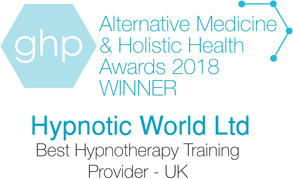 Peter has recently joined the Hypnotic World team to present his Fast Track Advanced Hypnotherapy Diploma Course where students can enjoy the experience of gaining practical knowledge in a class room situation. Ongoing Master Classes are planned for 2010 where delegates can learn more about Understanding Body Language, Smoking Cessation, Sport Improvement and Past Life Regression. The Master Classes will be published on the Seminar Page in the very near future. Lyta has over 10 years experience as a hypnotherapist and specializes in anxiety disorders and one session Stop Smoking. She is also a HypnoBirthing Practitioner and has a busy practice in Devon. Lyta trained with UK College of Complementary Health Care, St .Charles Hospital, London, and offers practical tuition to students around that region. Meira is an experience Hypnotherapist and NLP master practitioner with a strong track record. She works out from Graceland's Yard in London NW10 (www.gracelandsyard.com) and at the Healthy Living Centre, London N1. Through Hypnosis and NLP, Meira Shore provides a caring, empathetic, relaxing, compassionate and confidential approach in helping relieve stress, anxiety, panic, phobias, unwanted habits and addiction (e.g. smoking, overeating, binge drinking) she helps with lack of confidence & low self esteem, disturbed sleep patterns, fear of exams and public speaking, stage fright, fear of flying, and much more. She also works with pain management, Hypno-Birthing and natural child birth, as well as anger management and relationship difficulties. For further information on treatments or to book an appointment, please call Meira on 07966 65 92 99 or click here to visit Meira's site. Lawrence Pagett has been fascinated by the intriguing art of hypnosis from the age of 8 years of age when he started to practice and experiment with many forms of mind/body disciplines. Professionally Lawrence comes from an educational background with many years experience. He has helped, guided and instructed countless people from around the world. In 2001 the Birmingham school closed down and so sometime later Lawrence had the opportunity to open his own private therapy practice. He approached Hypnotic World in 2004 and took their most excellent Diploma in Hypnotherapy. Lawrence is also employed at the University of Wolverhampton as a Research Consultant where he helps students in the area of study skills. Once again his counselling and therapy skills come in handy. From early in my life I have had a fascination for hypnosis and psychology I have always been an avid reader of books on both subjects, but initially the interest was purely for a hobby. I went on to study with the College of Management Science, London and gained a Diploma with Distinction. Following that I did an Applied Psychology course with the same College for which I gained another Diploma with Distinction. I am a fellow Member of the Institute of Therapies Management and a Fellow Member of The Faculty of Management Science. I have attended various courses and workshops including the Valerie Austin course on Suggestion Hypnosis and Self Hypnosis at The City of London University and the Hypnotic World Workshop. I am a member of the General Hypnotherapy Register; The General Hypnotherapy Standards Council; the UK Register for IBS Therapists and the NHS Directory of Complementary and Alternative Practitioners. Other therapies that I practice include Hypnotherapy NLP and EFT. I now have a Hypnotherapy practice which I run from a studio at my home but I also practice at the Rosegarth Clinic for alternative therapies in Mansfield. I have now over 16 years experience in hypnosis and hypnotherapy, I am also a member of The Association of Meridian Therapists, practicing EFT and am also a qualified Stress Manager following training with Mindtech. I qualified in Clinical and Analytical Hypnotherapy with Psychotherapy with the London College of Eclectic Therapy where I also obtained a Diploma in Gold Counselling. I am also a licenced practitioner of Meridian Therapies. I have done extensive training in NLP with Dr Richard Bandler, John La Valle and Paul McKenna and am a Master NLP Practitioner. I am part of the assisting team for Paul McKenna Training and regularly help out on various seminars. I am a member of the National Council of Hypnotherapy, The Association of Professional Hypnotherapists and Psychotherapists, The Hypnotherapy Research Society and The Society of NLP. Robert has a Masters Degree in Business Administration and a PhD in Philosophy and International Business Relations. He is a governor of the SWYT foundation trust Wakefield (Fieldhead), a non Executive director of the CNHC (complementary natural healthcare council) and a member of the Oswoldcross Forum Ltd (a charity) Management team. In 1990 his focus changed to his real interest: the humanistic approach to life, and he started to study in Germany Complementary Therapies to become a practitioner of Indian-Head massage and Reiki-Master teacher/ practitioner followed by in depth studies in Germany and the UK of Clinical Hypnotherapy, Neuro-Linguistic Programming, Past Life regression and Reincarnation, EFT (Emotional Freedom Technique) and TAT (Tapas Acupressure Technique) and gastric band hypnosis techniques. Over the years Robert has undertaken hundreds of hours of Continuous Professional Development training in specialised aspects of therapy, particularly at the Calamus University, the Washington School of Hypnosis, Lionheart training and European Institute of Forensic Hypnosis and has trained with leading personalities in therapy work. Robert believes strongly in remaining at the forefront of modern therapeutic methods and is a certified N.L.P (neuro linguistic programming) practitioner, EFT (emotional freedom technique) trainer and practitioner. My introduction to Hypnosis and Hypnotherapy came was whilst I was an Engineering undergraduate at Sheffield University in the 1970s. I was introduced to a leading Hypnotherapist of the day who worked in a clinical environment as a Hypno-Anaesthetist. He worked with patients who required deep surgery but had previously had an allergic reaction to a General Anaesthetic. This caught my attention to such an extent that I read just about everything the University Library had to offer on this fascinating subject and practiced on my younger brother which I would never recommend to anyone but was great fun at the time. Going on to gain my Engineering degrees and become a Chartered Engineer meant that I had parallel careers, which worked well. Eventually, I decided to qualify in Hypnotherapy formally and gained my Diploma in Clinical Hypnotherapy. I have been practicing for over 10 years. I'm also a professional member of The Hypnotherapy Society. In my practice, I'm usually happy to tackle most psychological problems using Hypnotherapy but I do tend to specialize in Single-Session Smoking Cessation, Eating Disorders and Depression. A current project is work on my book about treating Depression using Hypnotherapy. I use a variety of techniques and often bring in NLP and Parts Therapy where I feel this is appropriate. Most of my work is in Glasgow and Edinburgh where I offer guidance to students and practicing Hypnotherapists. International Medical and Dental Hypnotherapy Association, UK Register of Advanced Hypnotherapists. Louis Ravelle became interested in hypnosis over forty years ago. At that time he was operating a gymnasium in central London and already well known for his books and articles on health and physical culture. It was his chance reading of a book by Mel Powers that started him on the hypnotic path. He did a lot more reading and started to use hypnosis on his gym pupils to improve their performance. Lou, as he is known was probably one of the first to use hypnosis for increased sports performance, helping many of the top athletes who used his gym. He is a highly qualified practitioner, and has vast experience within the field of Hypnotherapy, exhibiting an extremely high level of competency.. He is highly adept in the skills of therapeutic hypnosis, having a deep understanding of its psychological concepts and clinical procedure. Dan is a Clinical Hypnotherapist based in Gladstone, a city located in Central Queensland, Australia. It lies on the coastal fringe between the towns of Bundaberg and Mackay, adjacent to the southern tip of the Great Barrier Reef. His practice is based within the city, from where he services clients from the local area, and also from other parts of the State. Apart from his personal practice, Dan believes passionately that the art and science of Hypnotherapy is one that deserves furtherance. Educating the general public as to its potential and efficacy, and also the tuition of future therapists, are high on his list of priorities. Skill, integrity and a belief in his clients' welfare are the bywords associated with his practice; these ingredients, he believes, are essential to an honest, holistic approach to good therapy. Irwin is our New England representative and resides in Merrimack, New Hampshire (USA). He is a member of the NGH (National Guild of Hypnotists), one of the largest hypnotherapy organizations in the world. Irwin is an Electronics Engineer who left the industrial world to practice hypnotherapy. In his view Hypnotherapy is not an alternative but a powerful complimentary tool that can produce amazing results when used in conjunction with competent medical treatment, proper nutrition, competent coaching, or professional sales training. In his practice he works with people to overcome a variety of problems ranging from improved control under pressure for performance on the golf course to pain management to improve life quality by reducing dependence on drugs. His background in the industrial sector has led him to develop his "Unfair Advantage" training program for sales people that utilizes Waking Hypnosis and Neuro Linguistic Programming (NLP) techniques. Irwin has written many articles for leading newspapers about hypnotherapy and shares his skills with those interested in learning more.